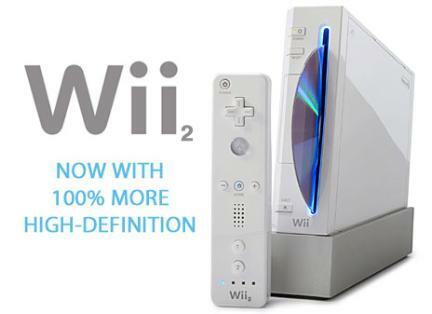 Rumor: Wii 2 To Debut at E3 2011, What Would it Mean for Skyward Sword? The thing I like most about rumors is the speculation they could ensue, especially this time around in regards to Skyward Sword. We all saw what happened when a New console was going to launch the following year of Twilight Princess, so it’s always a legit concern for any big game coming out at the end of a console’s life cycle that it could be delayed. Of course, most feel Nintendo won’t do that again, but it’s always a possibility. That being said, recent rumors have slowly been circulating since GDC 2011 ended that Nintendo will be revealing the new console at E3 2011, with most likely a slated launch of holiday 2012. Some rumored specs have also been leaked, but since the source is very iffy chances are it’s pretty far off from the truth. Of course, the only reasons any of these rumors have a slight chance of being true is because we do have plenty of confirmation that a new console is in development. So yes, the next console is in development. Nintendo of America’s most infamous statement on the next generation is nothing would be said until we reach 45 million consoles sold in the states. Naturally many feel this is a gross over exaggeration, as Nintendo of Japan is the one that controls when a new console get revealed and declining sales could mean that it may take another 4 years to hit that mark. You can all Reggie out on that statement if you want, but Nintendo is a business and they have to recognize the declining sales, even if it still sells relatively well compared to the competition. It’s not like the Nintendo DS sales were in great decline when the 3DS was announced, so you always generally want to launch your new system on the wings of the old so as to keep momentum. Not only that, Nintendo stands as the company that has the most to gain with a new console in 2012. As for the rumored specs, they are certainly interesting. The system is claimed to be blu-ray enabled, running with a quad core armada, and possibly has a mobile projector of some sort. Truth of the matter is I don’t necessarily given any validity to these specs, but it would be interesting. Blu-ray has become more and more affordable and Nintendo could argue, as Sony did, that it allows for much more complex games. You could also say “it’s about time” Nintendo allows video playback, given they partnered with Netflix like the rest of the world. Running with a Quad core processor makes logical sense, especially since that technology has become very inexpensive. It’s a consumer friendly processor that is significantly more power than the Wii. The projector concept is neat in theory, but we’ll have to see what it would be used for if it does exist to comment further. In the end, everything outside of the fact the console is in development is purely speculative. The one source we have claims E3 2011 is confirmed to be the revealing grounds, while IGN speculates it makes logical sense for it to be. Personally I feel 2011 announcement does make logical sense, and a late 2012 release still fits in line with everything they have said. In the past, Nintendo consoles have had pretty much dead on 5 year life cycles. They said the Wii would be longer, and a release in late 2012 gives the Wii a 6 year life cycle, which is notably longer than any previous console. E3 2011 reveal? Why not? Declining sales, and the strategy with the 3DS, strongly indicate that this year is a great year to get people excited for your next at home product.